Warner Bros.’ new chief exec Kevin Tsujihara has made his stamp on the company’s television division by handing Peter Roth a new creative role and Jeffrey Schlesinger and Craig Hunegs new titles as part of a major company-wide restructure. 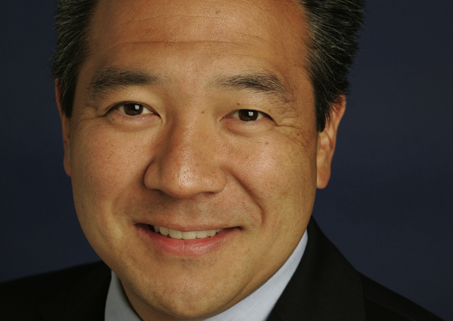 Tsujihara was named Warner Bros. CEO earlier this year and initiated a company-wide restructure that this week resulted in the exit of former Warner Bros. Television Group president (and former rival for the chief exec role) Bruce Rosenblum. It has now emerged Warner Bros. TV president Roth will add the role of chief creative officer to his duties, overseeing creative at Warner Bros. International Television Production and Telepictures Productions. Warner Bros. International Television president Schlesinger is now president of Warner Bros. Television Distribution, but will also keep his role as head of international production. Additionally, Hunegs, Warner Bros. TV’s executive VP, is now president, business strategy, Warner Bros. TV, a role in which he will seek to expand productions businesses and explore new windowing options. He will also take a seat on the boards of The CW and UK production unit Shed Media. All three execs will report into Tsuijhara, with Roth and Hunegs directly reporting into the top for the first time. Furthermore, Warner Bros. group digital activities will be consolidated under new chief digital officer Thomas Gewecke, who was previously president, digital distribution. He will also become executive VP, strategy and business development, Warner Bros. Entertainment. Warner also said “various” home entertainment functions will be reassigned, with Ron Sanders remaining as president and Diane Nelson remaining as president of comic book unit DC Entertainment and also becoming president and chief content officer Warner Bros. International Entertainment. “The digital revolution continues to change every aspect of the way we do business, and this strategic realignment will help us address those changes to better deliver our world-class content to the widest array of consumers across the globe,” said Tsujihara. “The studio and its leadership have a legacy of adapting and evolving to meet and exceed consumers’ demands. The changes announced today continue that tradition and solidly position us for future success,” said Barry Meyer, chairman, Warner Bros.